At the law office of Leslie A. Erwin, P.C., in McDonough, clients in the Greater Atlanta metro can expect to receive practical solutions and personal service in a wide variety of practice areas. Ms. Erwin's years of experience and extensive knowledge can benefit you and your family in a number of ways. 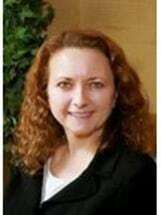 She excels in fields ranging from business law and estate planning to real estate and probate. She was also part of a legal team that defended a client in a high-profile murder case that was in the headlines for weeks. Do your legal needs include a will, trust, property deed, contract for a business startup, real estate purchase agreement or resolution to a landlord-tenant dispute? Our versatile lawyer can help. Above all, Leslie A. Erwin is personally attentive to your wishes and goals. She answers her own phone. She offers free initial consultations, evening and weekend appointments, and can come to your home to visit with you, if you are unable to come to her. She always follows up with you, once you have contacted her. Throughout the legal process, she stays available to address any sudden question or concern you might have, in ways that comfort you and make you feel special. This is the peace of mind you need, and every client deserves — that a skilled legal professional is capably handling your critical issues. Contact the McDonough law firm of Leslie A. Erwin, P.C., by phone or email. Our compassionate attorney looks forward to meeting you and working with you.